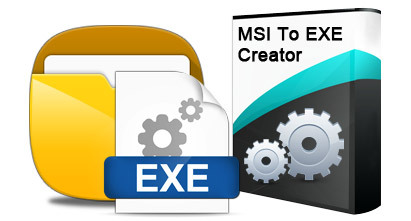 MSI to EXE Creator enables user to create EXE setup installer package from MSI installation setup package. 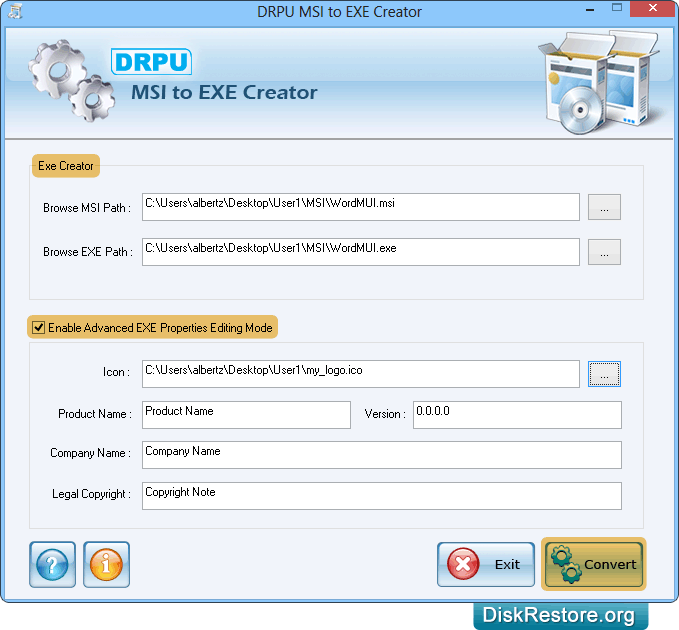 Advance Setup Maker is capable of converting .msi extension file into equivalent or similar format .exe setup to release your software products in standard EXE installer setup format. Executable file Setup builder software enables user to select the msi setup and convert it into exe format with facility to save the created exe at user specified location on your PC or Notebook/Laptop. 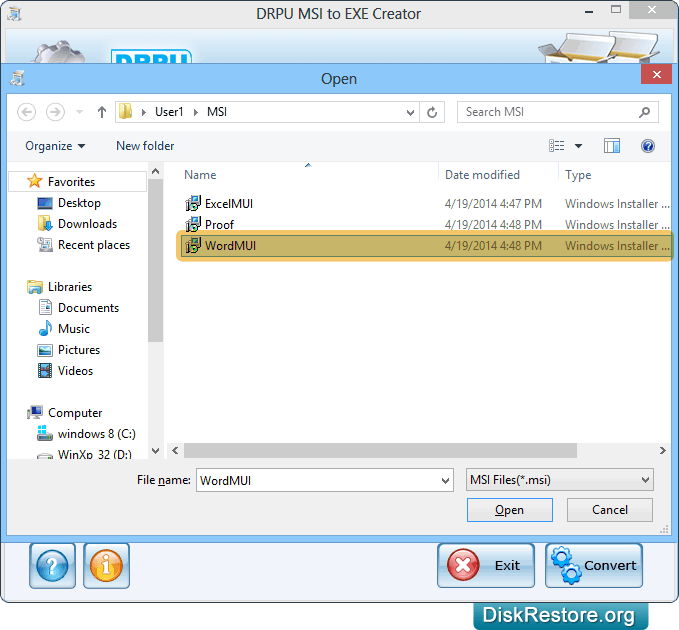 Browse location of MSI file to convert into EXE file. Select .msi file to convert into .exe file format and then click on “Open” button. Browse MSI path for selecting .msi file then browse EXE Path where you want to save converted file. Click on 'Convert' button to start conversion process. Setup Converter is useful utility for developers to convert MSI installer file to EXE file format without changing basic functionality and structure of software. 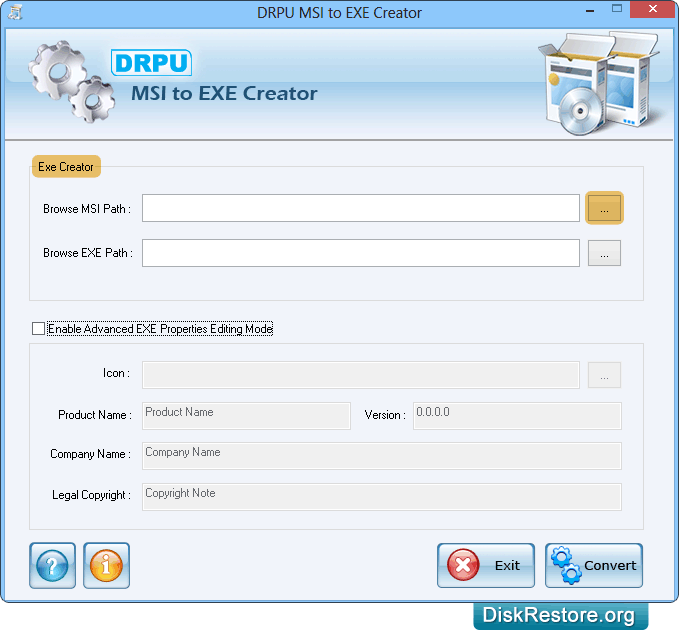 EXE Setup creator converts any .NET application with .msi file extension to .exe setup installer package without requiring any special technical training or skills. Easily converts .MSI installation package to .EXE setup files. Maintains originality after creating .exe installation package.